Maurice van Hoek was born on January 25th 1992. After graduating the Conservatory in 2015, van Hoek decides to travel to the USA. Within three months in the U.S.A he determines that country is his life. In the States, he gets drawn into the 70’s country folk from The Eagles and James Taylor. In this period, he writes his first personal songs about his experiences and emotions, the basis for his debut album Live Forevermore. In America, Maurice feels attracted to country music more than ever before. Maurice: “Three chords and speaking the truth is what it is all about”. 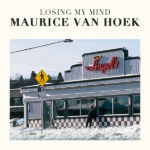 Van Hoek returns home relieved, with a vision and finally a reason to do what he loves the most, writing songs. Back in the Netherlands he finishes his education and keeps working on his compositions, his band and his first album. Live Forevermore gets released on May 6th of 2016. 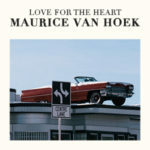 Maurice graduates with honours and receives promising reviews on his album. He performs where he can: duo-shows, living room concerts and on the corner of the street, with his guitar and his harmonica. In 2017, Maurice and his band have been grown to be a close unity. He writes new songs and maps out a clear path to the future. 2018 is the year of a new album. 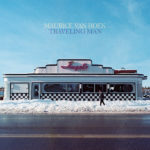 His album Traveling Man is now available on all streaming- and downloadservices as well as CD and vinyl. The path to being a country phenomenon continues.